The game is so popular that its revenue is more than twice that of Nintendo's three other smartphone titles combined, according to Sensor Tower research. Super Mario Run for instance has amassed only $68 million, despite being Nintendo's first mobile title and starring a character synonymous with gaming. Two more recent games -- Dragalia Lost and Animal Crossing: Pocket Camp -- have raked in $74 million and $70 million respectively. 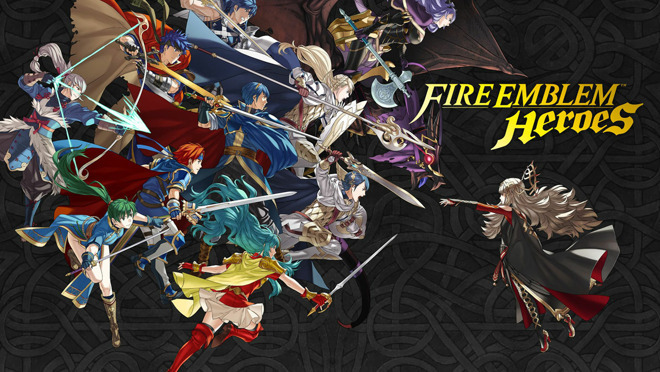 "Fire Emblem" is a long-running strategy role-playing franchise. The success of "Heroes" may stem from the fact that it's both highly replayable and free-to-play, without any obligatory in-app purchases. While gamers can spend real-world money on "orbs" to summon heroes, those orbs can also be earned by finishing story stages. About 56 percent of the game's in-app spending has originated from Japan, Sensor Tower said. The U.S. is a distant second at 31 percent, and all other markets combined formed the remaining 13 percent. Games with in-app transactions have slowly shifted away from purchases that gate progress, in part of because of major controversies. Electronic Arts for example suffered disastrous publicity in 2017 when it launched "Star Wars: Battlefront II" for PC and consoles -- the initial version featured loot boxes that could radically improve gameplay, leaving people who only bought the core game at a disadvantage. Microtransactions were temporarily stripped out, and ultimately returned only for cosmetic items. Countries including the U.S. are investigating such in-app purchases. In April last year Belgium and the Netherlands banned blind loot boxes completely, labeling them a form of gambling. Bring a SNES emulator to the App Store and they will make 1 billion. I would easily pay 10 dollars for it. Nintendo hates themselves. It's a dumb company with GOOD games. Even the virtual console had huge gaps in their library. At the time they even had Sega consoles on board but refused to let more than 4 games a week release. With Nintendos massive back catalog and 3rd party catalog, it's strange they don't allow them on their services. Nintendo is one of the few expensive companies Apple should acquire. I'd bet Apple would unleash the flood of their catalog on day one. Now, imagine how much they'd do if they'd let the 3DS die, and use those resources in putting more IP on mobile. Could take a lot of money, but Apple might be able to convince the Nintendo game design teams or leads to leave and join Apple. Shigeru Miyamoto will probably die at Nintendo.